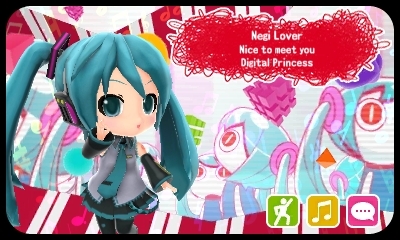 Share your own customized Miku tunes and looks with others! Hatsune Miku: Project Mirai DX is releasing this September 8 in North America and there's a sweet new reward for players who want to use the game's special StreetPass features. This adorable feature will allow players to build their own Miku song using items earned in-game, with vocaloids, synthesizers, chiptunes, and more. You can customize your tone and share it with others via StreetPass. With your song, you can share your StreetPass card, which you can choose your character poses, tagline, message, backgrounds, and more. If you're someone who does a lot of StreetPassing, this is something you'll want to get in on. Better get your preorders in now if you want to get the Launch edition, which comes with a whole lot of goodies. I'm off to do that right now!